The Bruins are officially loading up for their Cup run. 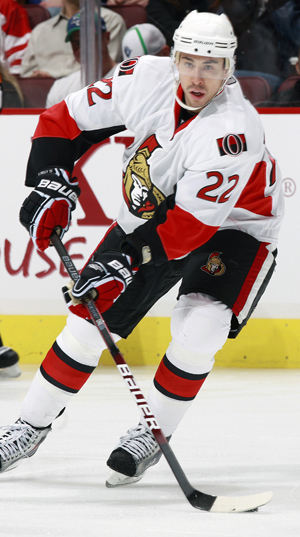 They added Chris Kelly from Ottawa for a second round pick in this year’s draft. A great trade for the Bruins as they add a great checking line player who has some offensive upside. In other news, it seems rather imminent that Tomas Kaberle will be shipping up to Boston (:P) before February 28. Once again, a player who would have positively impacted the Sabres has gone to a rival. Now, I don’t think the Sabres need to trade their entire team away, or grab every guy who becomes available. Most of the time there is simply too steep of a price to pay for a player – Kris Versteeg going for a first and third-round picks and Colby Armstrong signing for over $3M are good examples. However, for a team with pretty good depth in the prospect cupboard, the Sabres continue to guard their draft picks like gold. Now, when Darcy Regier steps to the podium to say the Sabres used a second or third round pick to acquire a great player, I will eat crow. For now, I will lament that Buffalo couldn’t find the right package to land Kelly, Mike Fisher or Joffery Lupul. Keep your eyes peeled for who I could see as potential trade targets for the Sabres in the coming days.